One of the most important topics I cover in my instructional video, DRIVE 4 DOUGH, is the difference between EFFORT vs SPEED. This is one of the most misunderstood subjects in golf. It’s also the #1 reason golfers struggle to hit driver farther. 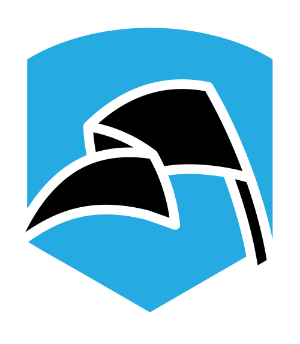 It is nearly universal that golfers mistake EFFORT for SPEED and POWER. What is actually happening is that the body is moving in a violent but inefficient way. It feels powerful and gives the illusion that you are swinging faster when in fact you are not. You may be speeding up certain body parts, but it’s not creating speed. 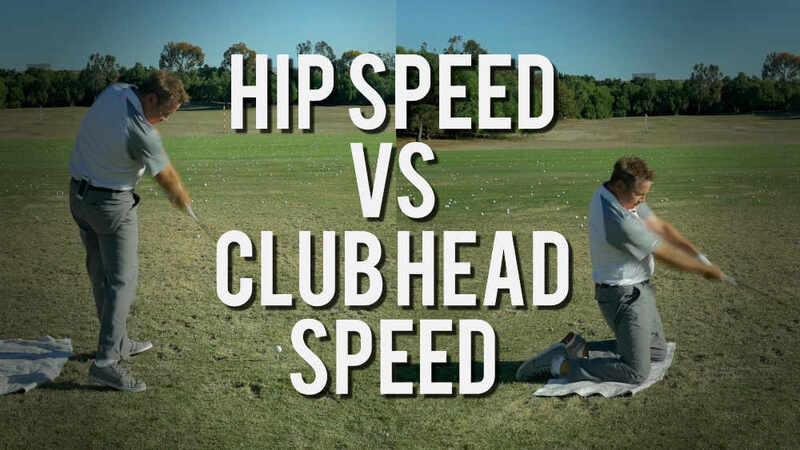 Because in order to hit driver farther, you must move the club head faster. Many motions that feel powerful in golf actually slow the club down. If you feel you ought to be hitting driver farther given your body type, athleticism, strength, or age, then you are probably making this mistake. early extension in the downswing, a common fault that feels powerful but slows down your club speed. Picture the average person running as fast as they can. Arms, legs, and head flailing wildly under maximal exertion. It looks like they’re working extremely hard, no matter how ugly it may be. Now picture the efficient motion of an olympic sprinter. The sprinter glides while the amateur flails. The amateur feels as if they’re running as fast as they possibly can. It’s an extreme effort, but it’s not producing the desire outcome. It’s poorly sequenced, inefficient, and slow. Meanwhile, the olympic sprinter looks effortless. Even in a 100 meter race when they’re flying, the sprinter’s motion contains no wasted motion. The upper body lunge, another fault that feels powerful but is actually the exact opposite. 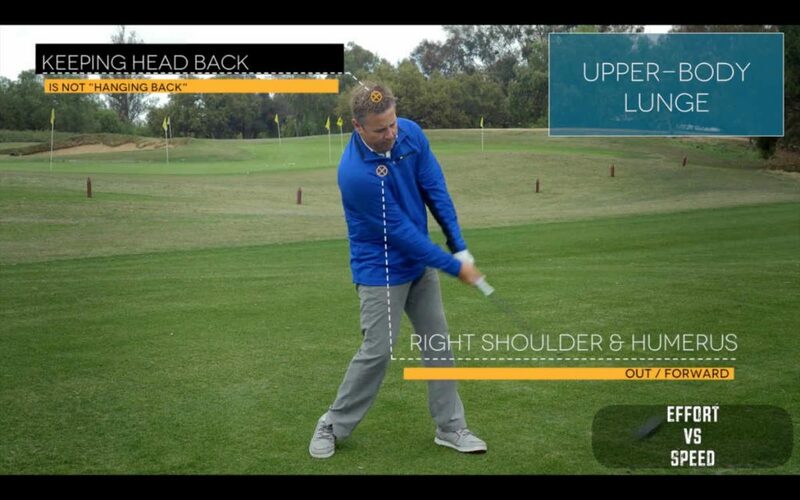 Keeping the head back is the secret to many powerful golf swings, despite how it might feel in practice. There are a few points to be made here. 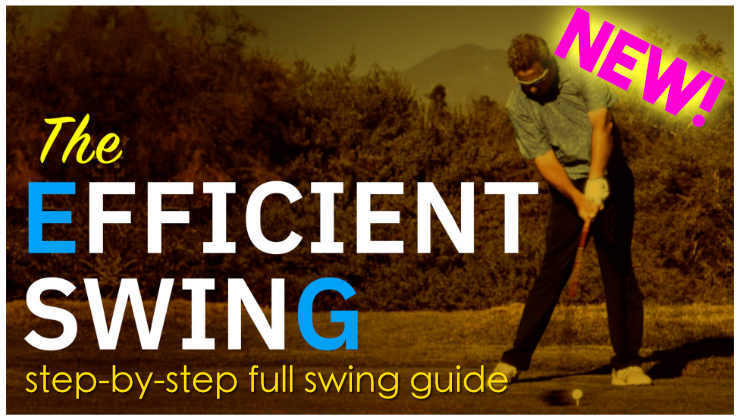 Swinging SMOOTH or, “Just swing easy,” is more about what an efficient golf swing LOOKS LIKE, and less about HOW IT FEELS. If you are purposely trying to do those things, it is likely only a band-aid masking all of the inefficiencies in your golf swing. 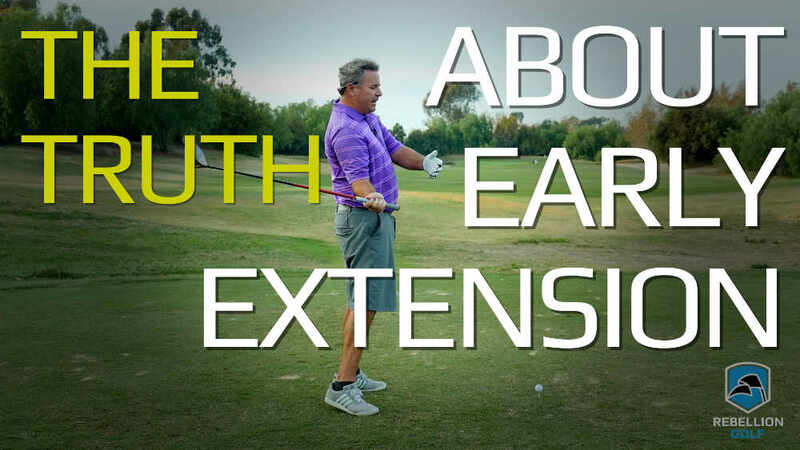 Think about it: If you suffer from early-extension, handle pulling, lunging with the upper body, or any of the other common faults I see every day on the lesson tee, then swinging easy is actually just a means of making contact. That is why swinging the club HARD, with a motion full of inefficient movements in the fraction of a second, will almost always produce disastrous and unpredictable results. You’ve practically turned the golf ball into a moving target. Swinging easy seems to be your best bet for hitting the middle of the club-face under these conditions, but it’s just a band-aid. 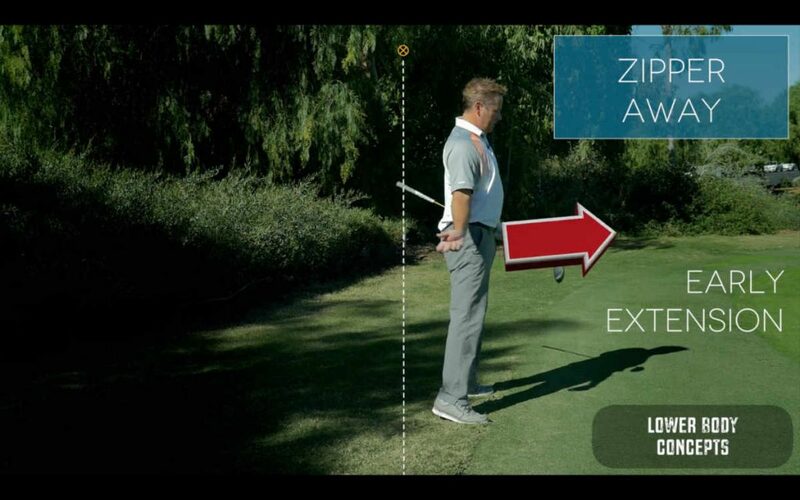 Conversely, if you make these errors and others, HARDER isn’t going to increase the distance or accuracy of your golf swing, no matter how powerful many of them might feel. 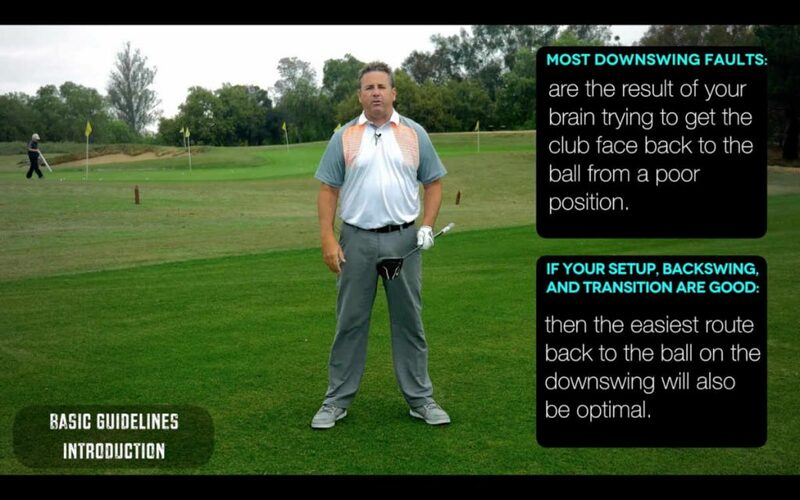 You can’t hit driver farther on a consistent basis without eliminating these inefficiencies from your golf swing. 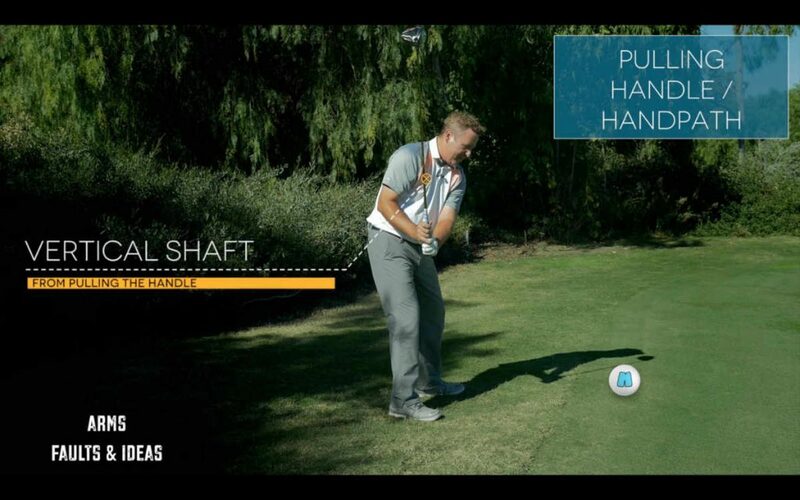 Good luck swinging fast with this steep downswing shaft position. It’s hard enough to make center contact from here, even in slow motion. If you can learn to eliminate wasted effort and produce a more efficient swing, then SPEED and CONSISTENCY are no longer mutually exclusive to one another. In fact, when your swing is efficient, the FASTER you SWING, the better your ACCURACY and CENTER-FACE CONTACT will generally be. Learn how to actually swing fast, with less wasted effort, and hit that ball in the middle of the club face. Do those things and you hit driver farther. That’s entire premise to my video. If you make a swing and have the urge to say, “I barely swung at that, that had no power,” and your swing speed goes up on the measuring device and the ball goes farther. You are likely on the right path. You are learning to correctly apply effort while putting less effort into the wrong movements you’ve previously mistaken as powerful. And that is how you hit driver farther. Remember, what feels powerful to you now is actually slow, so it stands to reason that making changes will produce feelings of powerlessness. 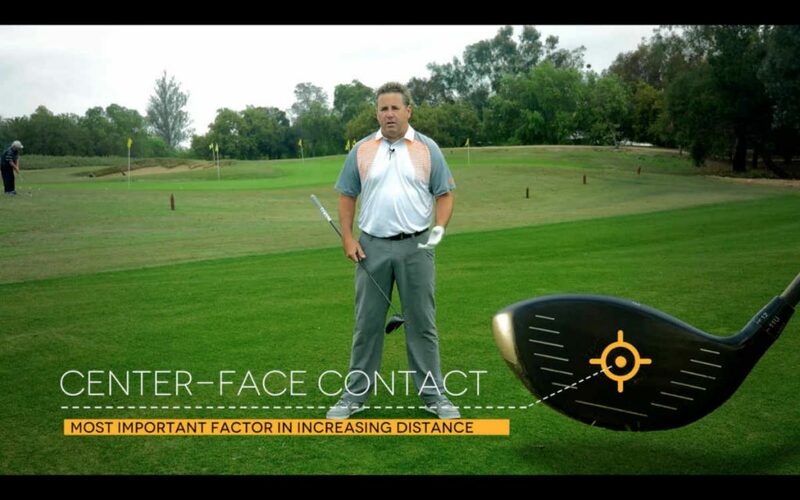 Center-face contact, the single biggest contributor to driver distance is often overlooked. It sounds complicated, and it is. Golf is not easy. But if you have a proper plan, a player of any skill level can make their swing more efficient. Then they can reap the benefits on the golf course and hit driver farther. There are few things more fun in golf than hitting the ball further and straighter than you have before. Learning how to actually achieve these things simultaneously is the entire goal of my 3.5 hour instructional video, DRIVE 4 DOUGH. 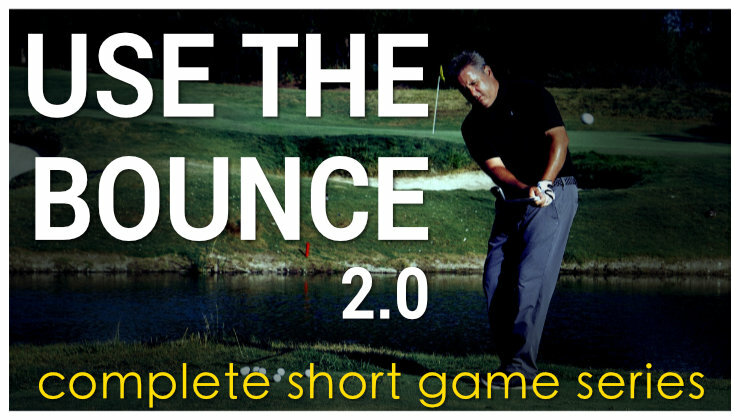 If you can clean up your setup, backswing, and transition, the easiest path to the ball will be the most efficient. Drive 4 Dough is organized entirely around this premise. 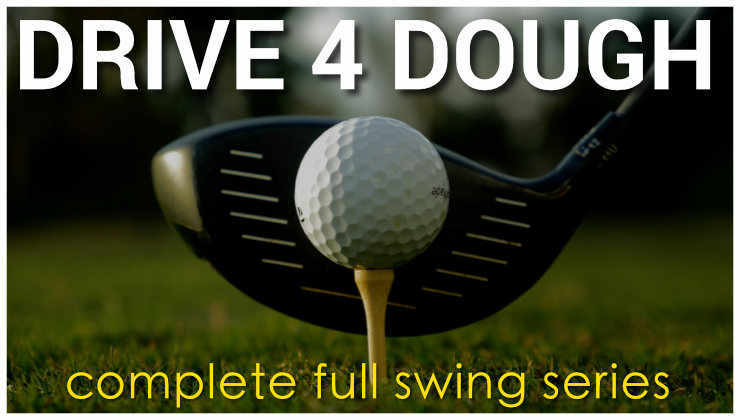 For more information about DRIVE 4 DOUGH, visit the video page. I haven’t had the time to watch all of it. Regardless, based on what I have watched, it is without a doubt absolutely loaded with information! I think I just need to watch it first. Then concentrate on what will help me. It is quite a piece of work though. Thanks Monte and congrats! 1 of the main reasons for less distance is grip pressure. Holding the club too tight causes muscle tension in the arms, hands & shoulders which is a killer of distance.It’s normally described as holding a bird, which is impossible to interpret.Throughout the swing, you should be able to feel the weight of the clubhead. If you can’t,your grip is too tight. The clubhead should feel heavy. Truly outstanding. It took me three views, about two months of practice, and a little video analysis of my swing, but I am hitting the driver further than ever before, with less “apparent effort,” and with less conscious thought. For the first time, I can just relax, breathe, and let it rip with good results. It was really tough (took two months practicing 15 minutes each morning with driver and pitching wedge, no balls, just swinging on the grass) for me to find my own conscious mental keys for executing this swing (lead arm to parallel, small body turn up, transition down, swing through as hard as I like once I am in position), but it was worth the effort. Now that my mind and body “get it,” my full swing is better for all of my clubs, right down to pitching wedge. I have more confidence and positive feelings on the course than ever before. Maybe I’m an exception to the norm, but I would gladly pay 4x the price for this video. Looking forward to your next product (I am using your other videos as well with equal success). Monte, agree completely! I have always had a problem finishing in a good position. I found the key is not swinging hard from the top, but swinging easy from the top and accelerating through the ball. I find I finish in a better position when I do that and the ball flies farther and straighter.